How does the moonwalk or inflatable unit stay inflated? Our delivery representatives will set up the moonwalk, bounce or slide and inflate it with a fully enclosed blower motor. The blower must be turned on and attached to the moonwalk the entire time that the inflatable unit is being used or the moonwalk will deflate. During high winds or inclement weather, please exit the moonwalk, shut off the blower, and carefully unplug all electrical equipment, including the blower. For safety reasons, there are no moving parts exposed on the blower. The blower unit must be located within close range of an electrical outlet, preferably less than 50 feet. How much room do I need to set up a moonwalk? The size dimensions for all of our moonwalks and inflatables are noted on each specific moonwalk's page on our website. Most moonwalks require a flat, clean area of approximately 20' by 20', depending on the specific moonwalk chosen. Most water slides require an area of approximately 20' by 38'. All moonwalks and inflatables should be set up on a flat, level surface, free of rocks, sticks, etc. Please ensure that any ground sprinkler systems are turned off and will rise from below the moonwalk while it is being used. All moonwalks and inflatable's require a blower unit, which must be located within close range of an electrical outlet, preferably less than 50 feet. Moonwalks can be used outdoors or indoors. When you place your reservation, please specify which surface type the inflatable will be used on, so that our delivery representatives can provide the appropriate anchors to secure the moonwalk. Please ensure that the area where the moonwalk will be used is clean and ready to use prior to the scheduled delivery time. Our delivery representatives will deliver the moonwalk and equipment to your event location, set-up the moonwalk (roll out, inflate, anchor and secure the moonwalk), dismantle it (deflate, unstake and roll up) and pick it up. This is done to ensure your safety and the safety of the equipment. Set-up time is approximately 15-20 minutes for moonwalks and 20-25 minutes for water slides. How safe are your inflatable's? Our moonwalks are constructed with quality and safety in mind. All of our units have a safety entrance/exit ramp for your protection, as well as emergency exit flaps in the roof. Each unit is constructed of only the very best commercial grade 18 to 21 oz. vinyl, with double and, in some cases, quadruples stitching. All of the materials used to build moonwalks are fire retardant. The windows of the bounces are made of specially designed mesh netting, which allows for easy viewing and added security. Our delivery representative will provide you with the recommended guidelines for safe use and maximum number of children allowed to use the inflatable at any one time. K and B Moonwalks rents only the highest quality moonwalks available in the market and encourages you to avoid unsafe, imitation inflatables. 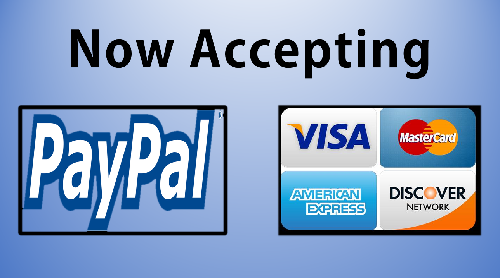 For your convenience, we accept cash, credit cards (Visa, MasterCard, Discover and American Express) and checks. Please make Checks payable to K and B Moonwalks. On the day of your event. The $50.00 deposit will be credited towards your total reservation charge. Upon delivery of the moonwalk at your event, our delivery representative will confirm your preferred method of payment. Our delivery representative will issue you a receipt upon delivery and confirmation of payment. You may make a reservation through our website 24 hours a day. There is an availability calendar below each moonwalk page. Pick the moonwalk that you would like to reserve, choose the date of your reservation on the calendar located in the middle of the moonwalk page and click continue. A $50.00 deposit must be paid at the time that you place your reservation. The $50.00 deposit will be credited towards the total amount charged on the day of your event. You may pay the reservation deposit by calling one of our reservations representatives at (936) 635-5714. If a reservations representative is unavailable to take your call, please leave a voicemail with your name, phone number, event date and moonwalk you would like to reserve and one of our reservations representatives will promptly return your call. All rentals are for 24 hours. On the day of your event, our delivery representatives will deliver your moonwalk within that 4-hour window, at least 30 minutes before the start of your event. Our delivery representatives will pick up the moonwalk at the time that you requested on your reservation. Please remember that you are responsible for all rented equipment, so please ensure that all equipment is kept in a secure location, especially if kept overnight or used at a public park. If your event requires a specific delivery and/or pick-up time, please notify our reservations representatives at the time you place your reservation. Events at public parks typically require specific delivery and pick-up times. Otherwise, please allow us up to 3 hrs after your party ends to pick up your party rental items. Events that are within 15 miles of one of our offices are not charged a delivery fee. Events located past the 15 mile mark or charged a dollar a mile delivery fee, which also includes delivery to your event location, set-up (rolling out, inflating, staking and securing the moonwalk), dismantling (deflating, unstaking, rolling up), and pick-up. We are happy to work with you and do whatever we can to deliver our services to your event. Is there a minimum order to place a reservation? Yes. We are insured up to 1 million dollars aggregate and 1 million dollars per occurrence. 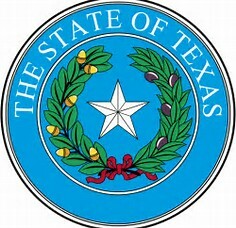 All of our inflatables are also inspected by a State inspector, which is required by all amusement ride companies in Texas. This is one of the main reasons why so many schools, large companies, and churches choose our company.